This small bar offers pool tables, pinball, shuffleboard and other games. Pinball was banned from the early 1940s to the mid-1970s in most of America's big cities, including Chicago, where the game was born and where virtually all of its manufacturers have historically been located. We think it's a fun pastime for family and friends... test your skill! We’re always 21 & over, so the wee ones will have to play pool elsewhere. The Doctor's Office Bar salutes its former tenure as dental office for the Masonic Home residents. However, this festive space commemorates its even earlier role as the lodge's game room. 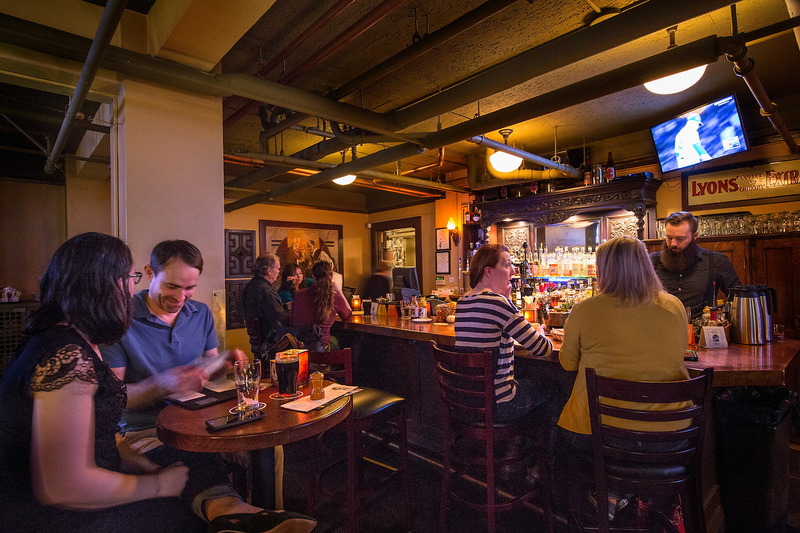 Anchored by an extraordinary 1860s German back bar stocked with McMenamins craft beer, wines and spirits—as well as the coveted Guinness on nitro. 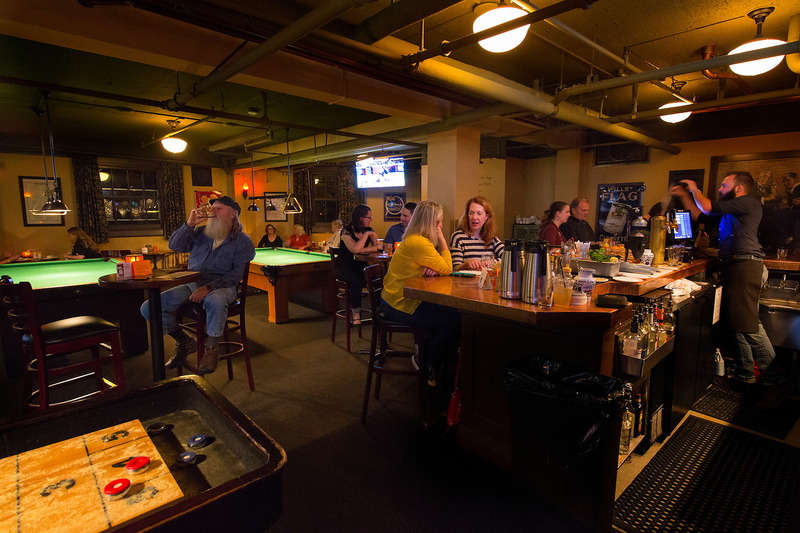 Keeping in the game tradition, this small bar offers pool tables, pinball, shuffleboard and other games, and four flat-screen TVs showing meets and matches, particularly football on Saturdays & Sundays. Visits here are just what the doctor ordered, with a dose of original art thrown in (no drilling required). Pinball was banned from the early 1940s to the mid-1970s in most of America's big cities. We think it's a fun pastime... test your skill!